Given that I was with my friend, Bruce, it was a no-brainer to stop in here. And they had a real bar where I had a real drink, a Bar Man's drink, a Perfect Manhattan, straight up. Now you don't know how hard those are to get here in Mexico, especially one that is made well, and these were. Just the concept of getting anything straight up is hard to get across. If you tell most bartenders here that you don't want your drink over ice-cubes, just shaken with ice you either get it completely warm, no ice at all, or barely shaken, which is just as bad if not worse. Well these were done just the way they are supposed to be. And when I said I wanted a Perfect Martini I didn't have to explain how to make it either. Now I will have to admit, they had no bitters, but I wasn't about to complain. Despite the use of the term "Back Alley" in their name, there is nothing back alley about this place. It is quite nicely decorated and their menu is really good if you like steaks and chops. Now it is not an inexpensive restaurant, not by any stretch of the imagination. The 10 ounce rib eye was 280 pesos which is pretty close to $28 USD. But it was worth it. Perfectly done the way I like it, medium rare, and a very generous 10 ounces. The owner, Bruce, said they age their meat on the premises. 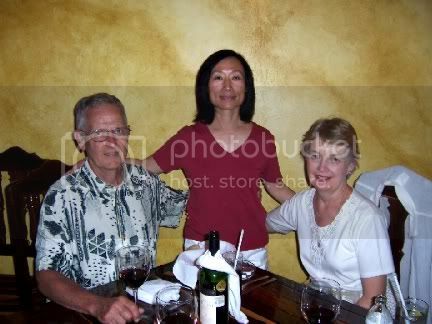 They had an excellent selection of wines to accompany the meal and we accepted the waiter/bartender's recommendation of a lush red to go with our steaks. I wish I had thought to write down the name. If I go back I will make a point of getting it. Bruce, as it turned out, had been adopted by Chinese parents and spent his youth in Hong Kong although he is Canadian. I would have liked to chat with him more about his life but, as you can imagine, being the owner, chef, and host, he was a bit busy. He and the Mysterious Chinese Woman tried to talk a bit but they spoke different dialects so they really couldn't understand each other all that well. And that was in English (just kidding). They offer a sampler plate here but it is quite expensive, about $45 USD and everyone at the table has to order it. He said that was mostly due to the lamb that they import from New Zealand and it is quite expensive to get it here in Mexico. I guess that is why you seldom see it on a menu. To Bruce's credit, he didn't encourage us to order the sampler plate. He said the first time you visit you should just order off the menu to make sure you like the food enough to spring for the "big one." Well, I liked the food enough to do so and if I visit again may very well do so. 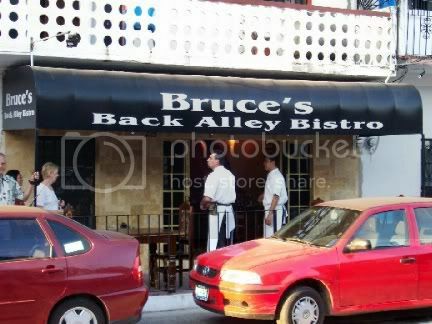 Bruce's Alley has only been open a few weeks and it is a bit different for Puerto Vallarta. More expensive than most restaurants and more upscale food, reminiscent of a New York steakhouse. I hope it does well for no other reason than they serve a damn fine drink at their bar. 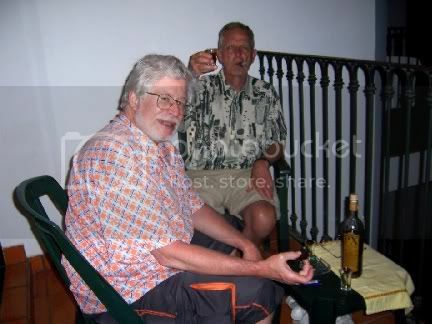 After dinner we toddled back to our place and my friend Bruce and I repaired to our balcony to enjoy an after dinner cigars and a sherry that I bought in Spain and brought down just for occasions like this. 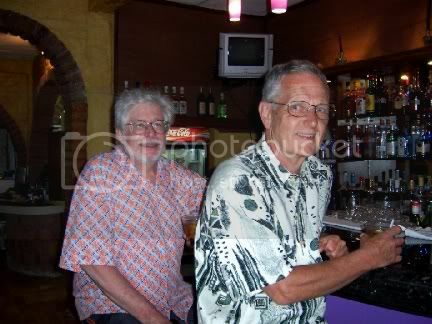 Tonight was Bruce and Donna's last night in Puerto Vallarta, at least for this year, but I think we made it a good one.